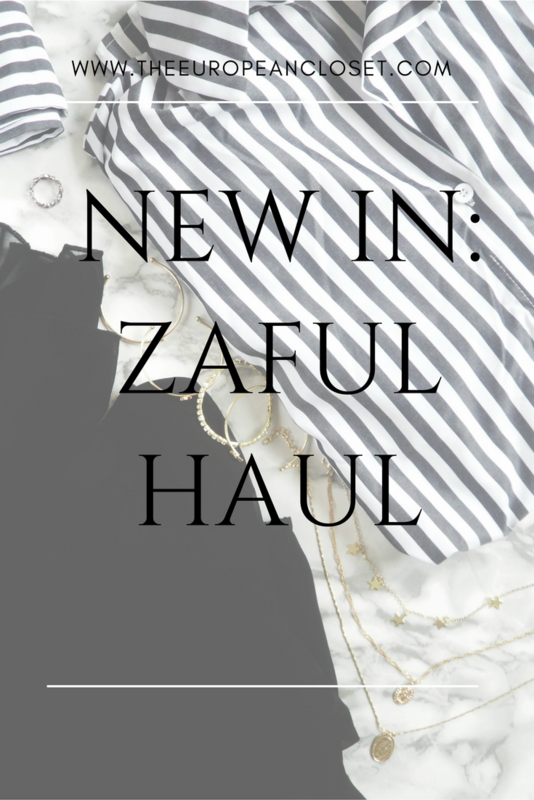 I love Zaful.There's no denying that (I mean just go through my blog and you'll see a ton of hauls from them). I find amazing that the website has every trending piece at such low prices. I've got some bits and pieces I got in the mail the other day to show you today. PS: Zaful is having an amazing Valentine's Day Sale where you can get amazing pieces to wear on a date or even gifts for your loved one so don't forget to check it out! Fashion-wise, I got two tops. I decided to choose lightweight tops that I could use during the spring/supper but could also wear during winter with a warm coat and a huge scarf. I ended up choosing a Black Chiffon Flare Sleeve Blouse which is pretty basic, but the sleeves give the blouse a different and chic feel. I've worn this blouse with a black suede waistcoat and black trousers, giving all the attention to the sleeves. I also got a Black and White Striped Shirt which a lot of people consider a staple in anyone's wardrobe but something I've never owned. This shirt is super oversized, which I love, but it also comes with a belt that cinches the waist and makes you look a bit more put together. I've actually worn this shirt just yesterday with white jeans, a grey coat and black vans. This time around, I got more accessories than clothes. 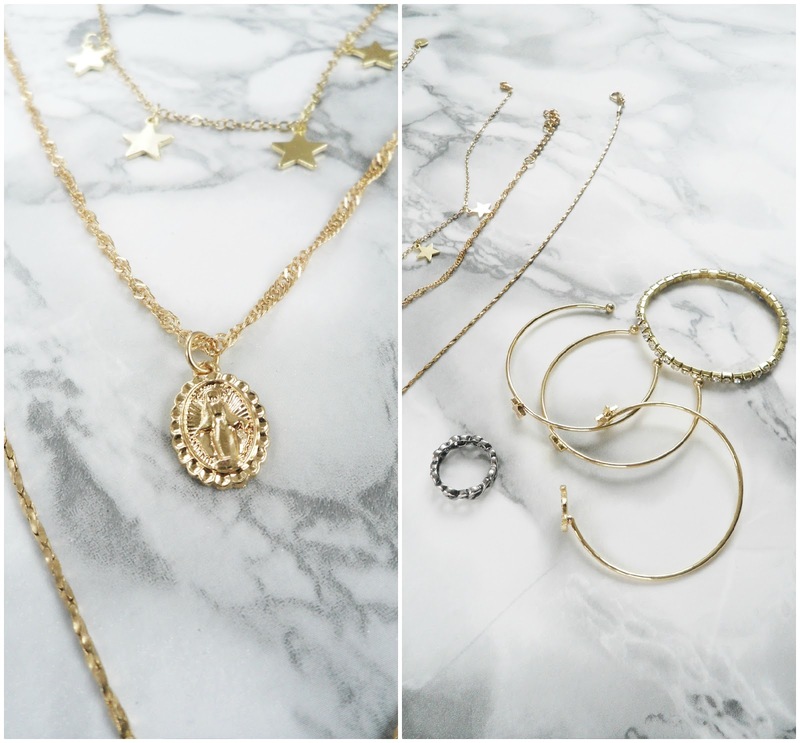 I've been is a gold mood so I decided to get a few gold pieces to wear. Although it's not gold, I was in love with this Heart-Shaped Ring. It reminded me a lot of the pandora rings we've been seeing everywhere for the last few months. I was kinda scared that it wouldn't fit my finger but fortunately, it does and I couldn't be happier. I was never a bracelet person but since I got some bracelets back in November I've been wearing these accessories more and more. 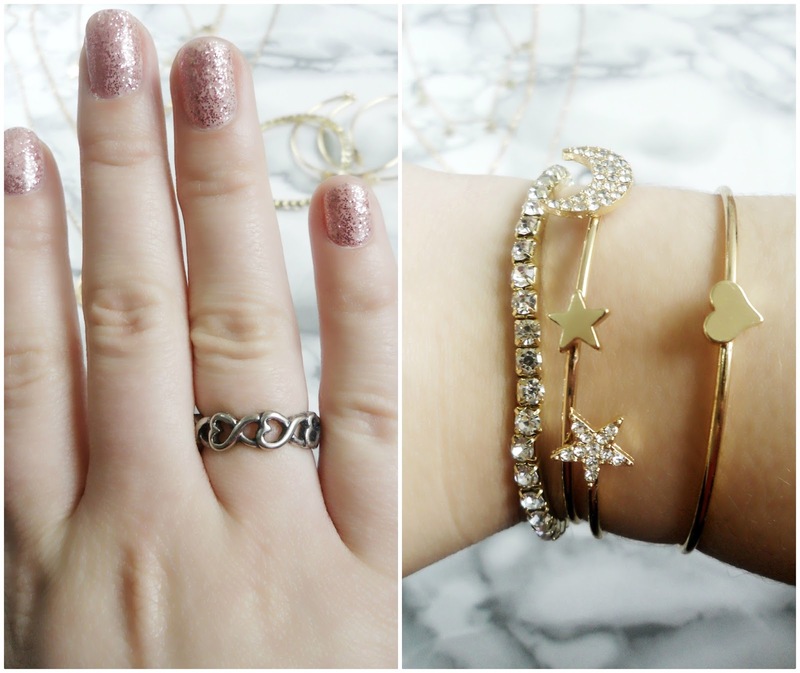 I decided to get these 4 Bracelets mainly because they're gold (duh) but also because of the starts and moon, other things I'm obsessed with. Can you tell I'm obsessed with a ton of things? I got 3 necklaces. The theme of stars continues here, as I got a choker filled with little stars which I'm in love with. It looks amazing with pretty much any outfit. Along with that, I got two oval pendant necklaces I've been eying for months. I've seen tons of people wear these over jumpers, with deep necklines and everything in between so I decided to get myself a pair of these. I've not worn them yet but I've tried them with a bunch of outfits and I can honestly say I'm in love.